Rick Marshall has always been a technical thinker and it shows in his Jiu Jitsu and martial arts instruction. From grade school, Rick excelled in math and sciences and was invited to join Gifted and Talented Education in the 3rd grade, after scoring extremely gifted on an IQ test. He went on to earn a Bachelors Degree in Computer Science from UC Riverside, a Masters Degree in Computer Science from the University of Southern California, and an MBA from Duke University. Having worked at defense companies such as Raytheon, Northrop and Lockheed, and technolgy companies such as Panasonic and Samsung, Rick has always had to wear his thinking cap. He found jiu jitsu as a way to combat his daily 9-5 routine. Rick began his jiu jitsu studies at Jokers Wild Fighting Academy, where a friend gifted a Rubberguard book to him and said, “This style fits you.” And the rest was history! Rick quickly engulfed himself in the Rubberguard system. Rick found jiu jitsu to be like his breakdancing days of old. Instead of battling on the dancefloor, one would grapple on the mats. Life brought him to 10th Planet where he would train under Sean Bollinger, Eddie Bravo’s 2nd Black Belt. Rick chose to start at White Belt again under Sean, being that 10th Planet Jiu Jitsu was such a new style for him. Later, Rick relocated to Headquarters in Downtown LA, and began training under Master Eddie Bravo. Rick was asked to be part of the training camp for the long awaited, much anticipated, Eddie Bravo Vs. Royler Gracie- Part 2, where Eddie and Royler would headline at Metamoris. Rick was granted the rank of Black Belt by Eddie Bravo in December 2014, after 3 and a half years at the rank of Brown Belt. 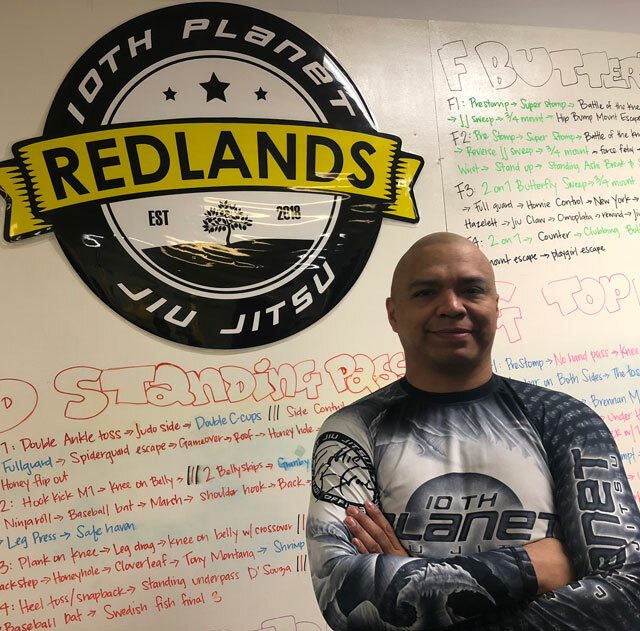 From 2016 to early 2018, Rick headed 10th Planet Jiu Jitsu Singapore, and returned to the United States to open his school in Redlands, California in mid-2018. Rick has trained under and with many greats, including Rafael and Guilherme Mendes for 3 years in both the Gi and NoGi, and Gokor Chivichyan for 9 years at Hayastan MMA, where he learned a host of leglocks and theory. Rick has breakdancing experience, Capoeira experience, and has trained in Thailand for a month to learn Kickboxing at Chokchai Muay Thai Camp in Phuket.